Today, the Berklee City Music Network announces its newest Network member, Vancouver-based Sarah McLachlan School of Music. With a commitment to providing music education to underserved and at-risk youth at no cost, the Sarah McLachlan School of Music becomes the 43rd site, and first international site, to join the Berklee City Music Network. Together, the Berklee City Music Network sites provide a pathway to higher education by engaging passionate, talented youth in underserved communities in a contemporary music education program. “It’s a great honour for the Sarah McLachlan School of Music (SoM) to be recognized as the first international site of Berklee City Music Network. Through our shared vision, SoM and Berklee City Music Program come together in the belief of the power of music to foster young people: their life skills, leadership, community and creative thinking, in an ever-changing world,” Sarah McLachlan, singer-songwriter, and founder of Sarah McLachlan School of Music, said. •	and provide well-maintained program facilities suitable for delivering a high-quality music education in a safe environment. “We are proud and excited by the confidence the Sarah McLachlan School places in the Berklee City Music mission, indicative of their election to seek membership in what now has become an international initiative; we look forward to the partnership and learning from the incredible work they, too, have been doing to reach underserved communities with the gift of music education,” J. Curtis Warner, Jr., Executive Director, Berklee City Music, said. As a member, The Sarah McLachlan School of Music also becomes part of a virtual network that offers instant access to the Berklee PULSE Music Method, a proprietary online music education platform, as well as webcasting and videoconferencing technologies to provide face-to-face interaction between Berklee City Music Network students at member sites, and faculty and students at Berklee College of Music and Berklee City Music in Boston. 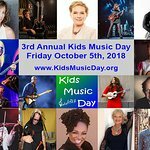 “We are so honored to have the Sarah McLachlan School of Music join the Network and we look forward to seeing young people from across North America develop their musical skills and self-confidence through our system. 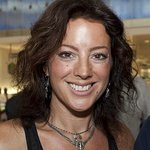 With leaders like Sarah McLachlan, whose passion and commitment to music education for youth is so strong, the City Music Program has never been more energized to fulfill its deeply purposeful mission,” Mark Campbell, Vice President for Enrollment, Berklee College of Music, said.